Graduation Day. It's a rite of passage that these days pretty much every student, from preschoolers to post grads, has been entitled to. The caps, the gowns, the celebrations; but what about those who have struggled with secondary education, for one reason or another? One thing that makes our education system great is its flexibility. We are always looking for ways to include more Americans in the benefits that knowledge brings. But reaching underserved groups--those who we desperately need to include for the sake of the economy and equality--is a challenge few initiatives have been able to overcome. That's why I was excited to learn that GED Testing Service, creator of the official GED high school equivalency program, embraced a new approach to reach and motivate communities around the country. GED Testing Service has opened doors to better jobs and college programs for more than 20 million graduates since 1942, and this credential is accepted by virtually all U.S. colleges and employers as a high-school equivalent. Like most things, GED has changed to keep up with the times. It's finding new ways to bring its dispersed, online community of graduates together, such as digital engagement where grads can celebrate their accomplishments while empowering and elevating others. 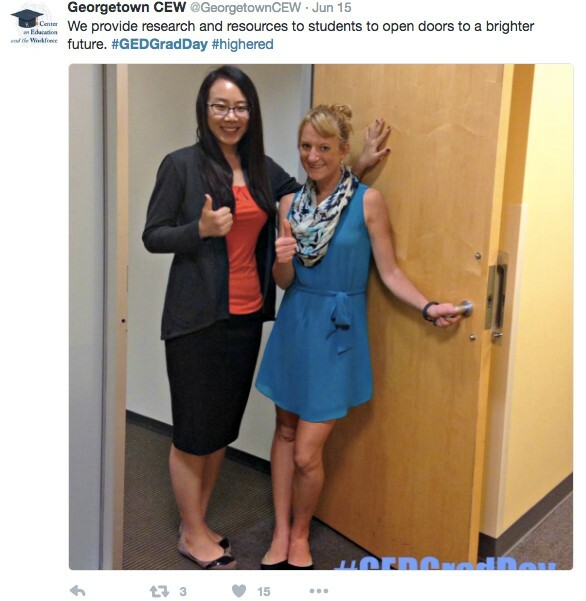 #GEDGradDay, held June 15, was a hit on social media. This initiative encouraged grads to post videos and pictures showing their stories and experiences with the GED test and how valuable their degrees were to them. One tactic was to ask graduates to take photos of themselves opening a door and posting it on social media. 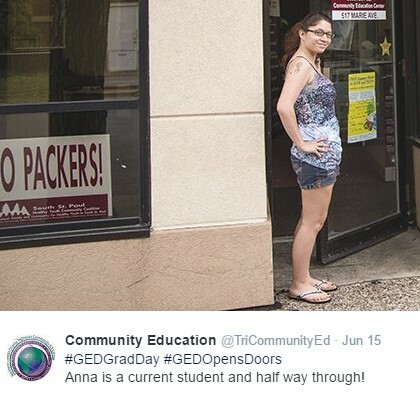 Over 11,500 people participated in the campaign, and over 1,300 used the hashtag #GEDGradDay to post about GED on Twitter, Facebook and Instagram. Each time #GEDGradDay was used on the social networks on June 15, GED Testing Service made a $1 donation to the National Center for Families Learning. NCFL's mission is to address our nation's literacy challenges by engaging all family members in learning, with a primary focus on parents and children living in poverty. 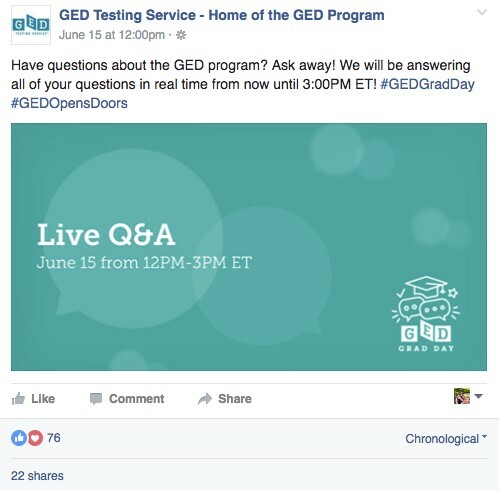 In addition, GED held a live Q&A session on the GED Testing Service Facebook page. I think it is fantastic that they've created a virtual graduation day for a group that often misses out on the rituals of the traditional education system; this digital world gives them a sense of community, belonging and achievement. And it shows others who did not earn their high school diploma that it is never too late to follow their dreams. GED Grad Day should serve as a model for how companies and nonprofits can use the power of digital media to engage underrepresented and underserved groups. As we get closer to the official start of school, let's remember that learning knows no limits; hats off to GED and its grads for bringing that belief to life using the power of social media.